At Ohm Spa, we believe in doing all we can to help conserve our Earth’s natural resources and to reduce our impact on the planet. That’s why we’ve taken great steps to use organic or environmentally friendly products whenever possible. 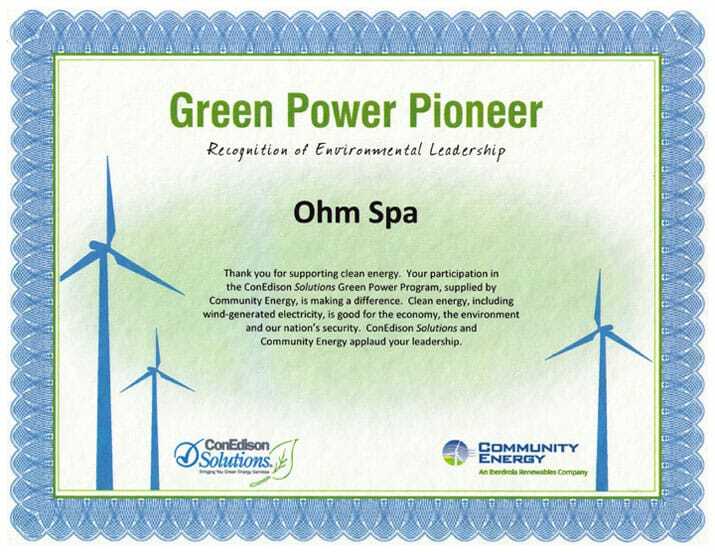 In fact, Ohm Spa was the first spa in New York 100% powered by wind-generated electricity. 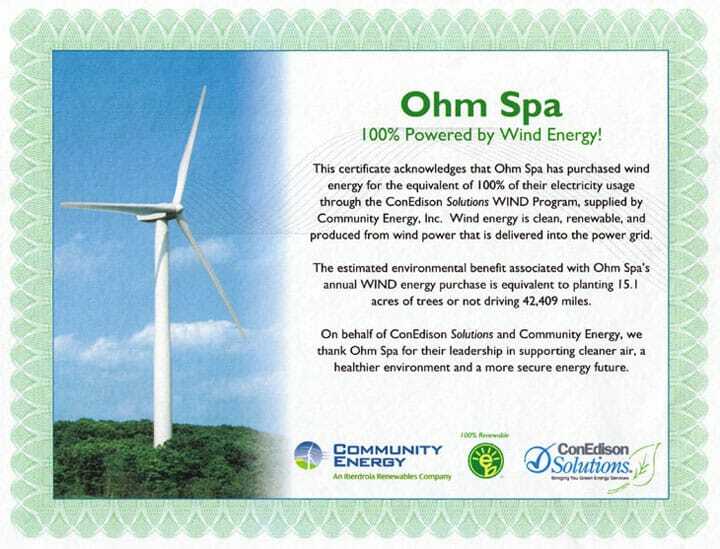 All of the power used at Ohm Spa comes from the wind, a natural source of energy that is completely renewable, emission free, and independent of fossil fuels. 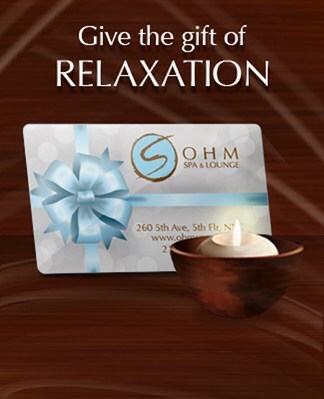 While you are enjoying the fabulous treatments at Ohm Spa, you’ll feel even better knowing that you are at a “green” spa.